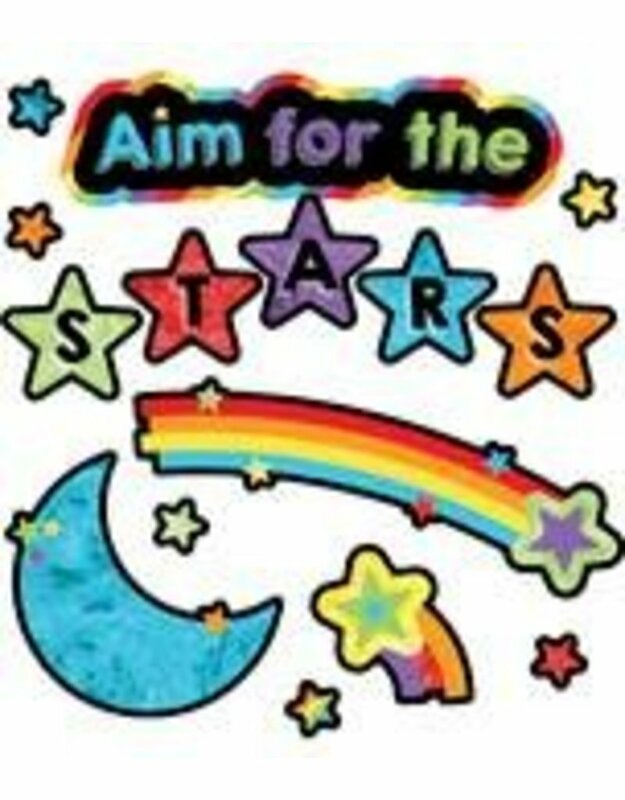 The 48-piece Celebrate Learning Aim for the Stars mini bulletin board display includes these pieces:-1 header (6 pieces)-1 moon (2 pieces)-4 shooting stars-6 small stars-30 student piecesKeep student morale high with this motivational classroom décor! Add a visual component to small areas such as doors, learning centers, and windows with mini bulletin board sets. Make sure to view coordinating Celebrate Learning products to create a unique and unified classroom theme.